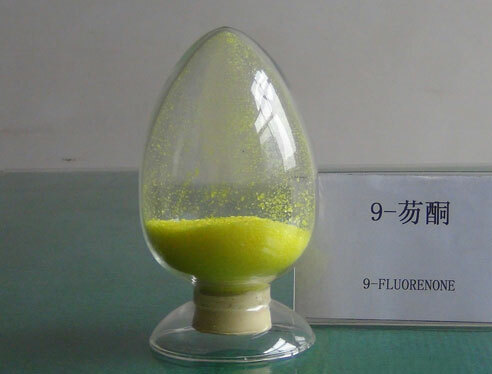 9-Fluorenone | Products | HENGSHUI HAOYE CHMICAL CO.,LTD. Flash Point: 163°C, flammable, it is grade II flammable product. Solubility: Insoluble in water, soluble in organic solvents, such as alcohol, ether, etc. Use: It is raw material for the production of various fine chemicals, it is mainly used in functional polymer; moreover, it can also be used in pharmaceutical, pesticide, dye, etc. Address：Shengli West Road, Hengshui, Hebei, China. © HENGSHUI HAOYE CHMICAL CO.,LTD. 2010 All Rights Reserved.